2xDanish Winner in Herning this weekend. 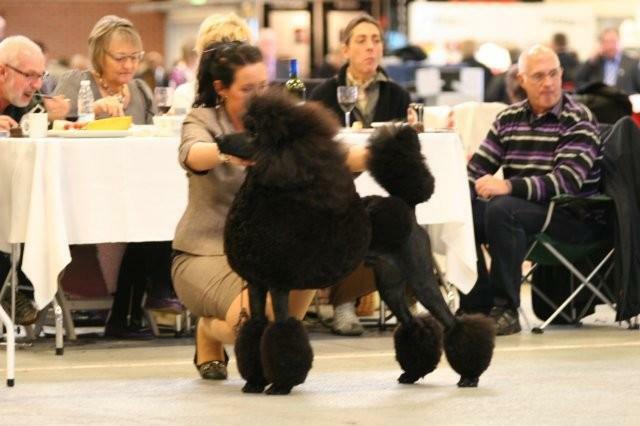 This weekend I was staying in Sweden to show Rocky at the second last show for the year here. 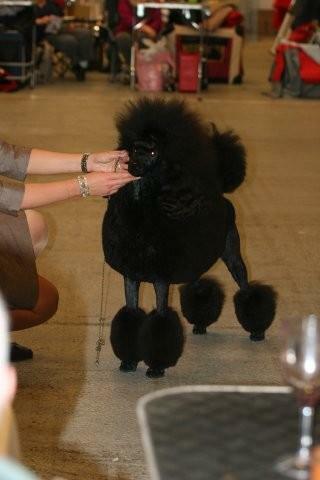 Peter went with Camilla Tell and another Poodle friend of ours, Carol Edholm to the Danish Winner Show in Denmark. It was the second show for Huffish After Dark, “Danny” and Rachel was also there, Huffish Da Maya Woman. The dogs have hardly met Camilla but they behaved well what I heard. Danny got CAC, CACIB and the Danish Winner Title, Rachel did the same and she got the BOB. Thanks to the judge Mrs Anette Bystrup from Denmark, first time I ever showed anything for her. As it was 12oo km to drive back home they didnt stay for the group. Thanks Camilla for the great job you do with the Poodles! 2xWorld Winners, 2xEuropean Winners, 2xDanish Winners. The litter sister to Rachel, Huffish Moving on also won CAC, CACIB, BOB and Group-2 in Serbia! Congratulations to Ana with family and handler Marko! Keep up the good job! ← Moose in the garden!